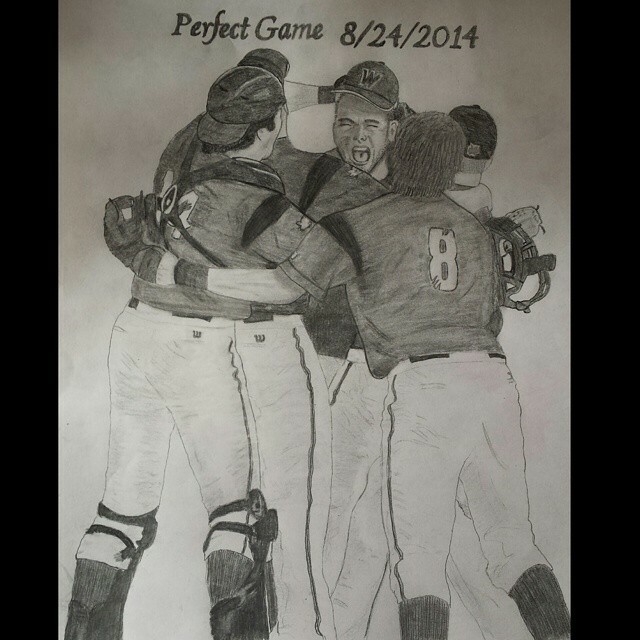 My Favorite Baseball Moment was Perfect. Watching this amazing MLB post season full of games that have been anything but ordinary has made me wonder… What is your favorite baseball moment? Were you on the field, in the stands or just simply watching it on TV? If I had been asked this question last year, I would have said without a doubt that my favorite baseball moment was being a part of the 2013 NL Wild Card crowd at PNC Park when the Pirates faced the Reds. 20 years of losing was finally over. I was able to witness my first playoff game in person. Since I was 2 years old the previous time the Pirates were in the playoffs, I had no idea what it was like to have a team play an important game in October. This 2013 Pirates team was the special group to change all of that. I know that I will never forget them or that feeling as long as I live. The CUETO chant will forever be etched in my memory. However, that Wild Card game was my favorite baseball moment for all of 10 months. 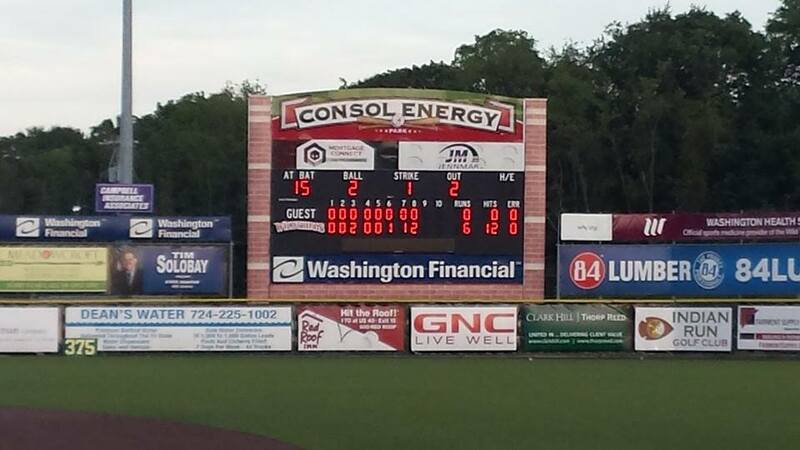 On a Sunday afternoon, August 24th to be exact, in a much smaller stadium, Consol Energy Park, and in front of a totally different crowd, there were less than 2,000 fans in attendance, I witnessed perfection for the first time. First, rewind back to the night before. 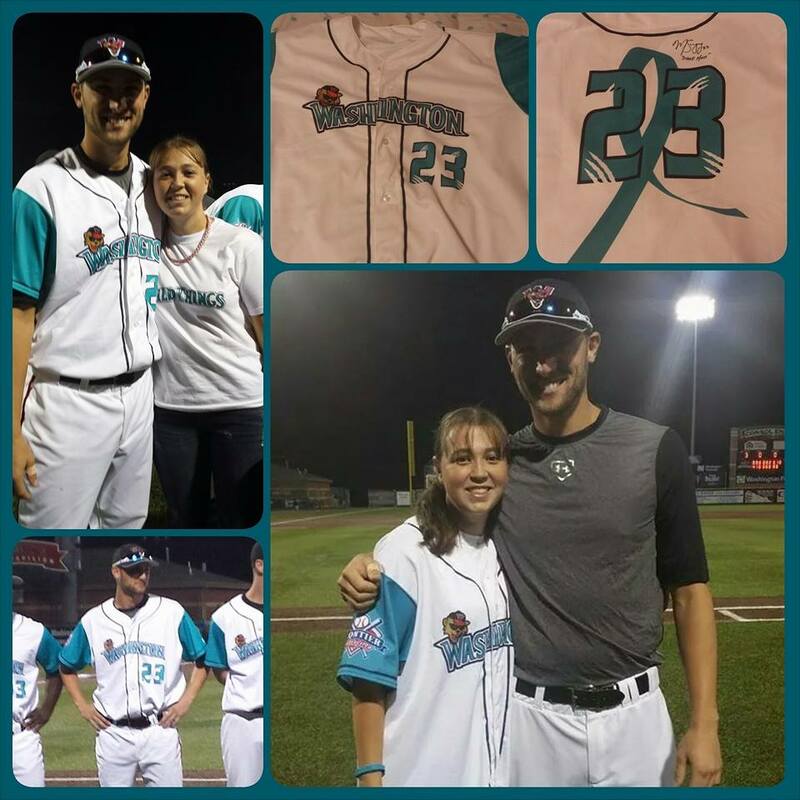 The Wild Things were auctioning jerseys off for Ovarian Cancer night, and I decided to bid on one of my favorite pitchers and Sunday’s starter, Matt Sergey (or “Other Matt” as we affectionately called him.) Little did I know what special part that jersey would have in my collection and what special part that pitcher would have in my baseball memories. Sunday’s “Kids Day” game started like every other one that season… 5:05 start, attendance in the low thousands, and I was sitting in Row B seat 8 of section 101 as I had done every game I had been to that season. 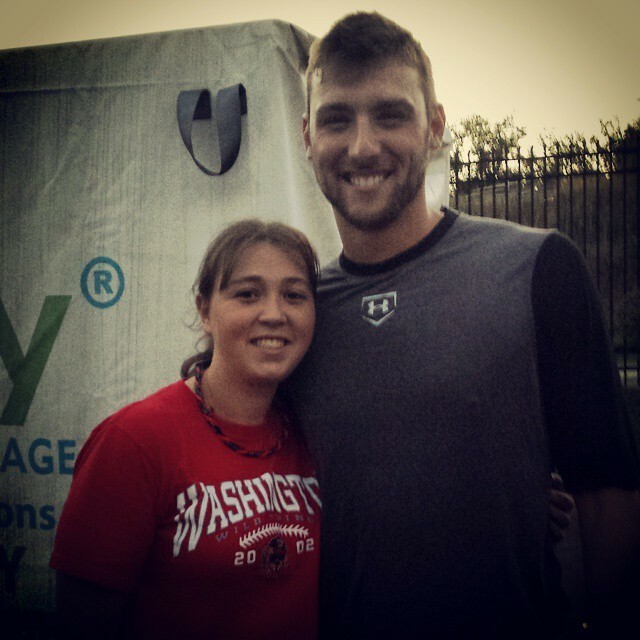 Matt Sergey, who had been used in relief for the majority of the season, was given another shot at being a full-time starter. As he left the bullpen for the start of the game, I yelled “Good Luck Other Matt” like I had done every time he went into the game. Everything was the same routine as it had been all season long, except that the game turned into something that was anything but routine. 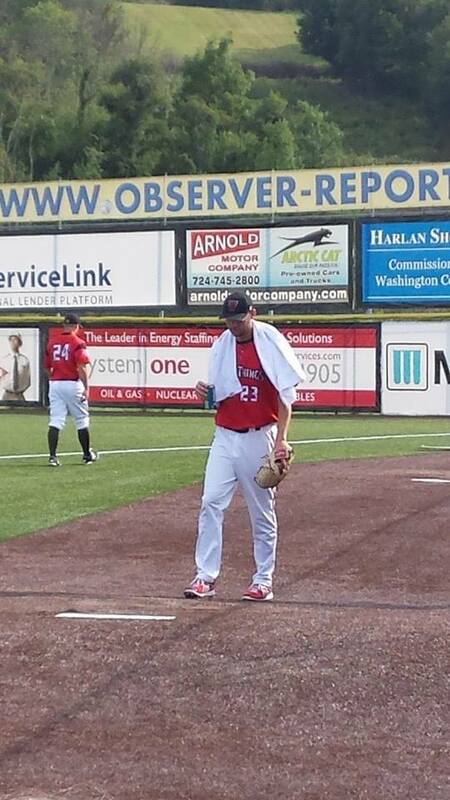 Since I now claimed Matt as “my jersey guy”, I took plenty of pictures of him that day, and I am sure glad that I did. If you’ve never experienced a perfect game in person, I’m not sure if my words will be able to convey the true emotions of the game, especially if you have a personal connection with the person on the mound attempting to make history. The game was cruising along nicely, and Matt was dealing on the mound. I remember looking up at the scoreboard in the 5th and seeing all zeros. Our scoreboard in Washington doesn’t count walks, so I hurried up and checked the PointStreak stats on my phone to see if anyone had been on base at all. I realized that he had more than just a no-no going on… he was chasing perfection. As my anxiety was growing, I started asking everyone else in 101 if they saw exactly what was happening. Following baseball superstitions, none of us said the words “perfect game” as we all (un)patiently sat in our seats watching the game unfold. I took notice in the 5th and had been anxious ever since, but I would say that the 7th inning is when I started living and dying by every pitch. Each at bat made me nervous, and I would sit watching our defense intently. In section 101, we were passing around the heart monitor app and checking our pulse as our hearts were beating faster and faster with each out. Glancing around the ballpark, you could see that everyone else was slowly starting to catch on to what was happening on the field. The crowd hushed on balls and long fly balls and cheered loudly for every out. By the top of the 9th, half the crowd was already standing, and with one out to go, not one person in the ballpark was sitting. When the Gateway Grizzlies’ batter hit a ground ball to short stop, Ryan Kresky, who promptly threw the ball to 1st baseman , Garrett Rau, for the last out of the game, I was going absolutely insane. Seeing Matt drop to the ground and pound his glove into the ground caused me to have tears in my eyes. The emotion he showed, the emotion our whole team showed rushing the mound, was just something that I will never be able to forget. These were guys who I truly cared about on and off the baseball field. This team (this #SQUAD) was special. 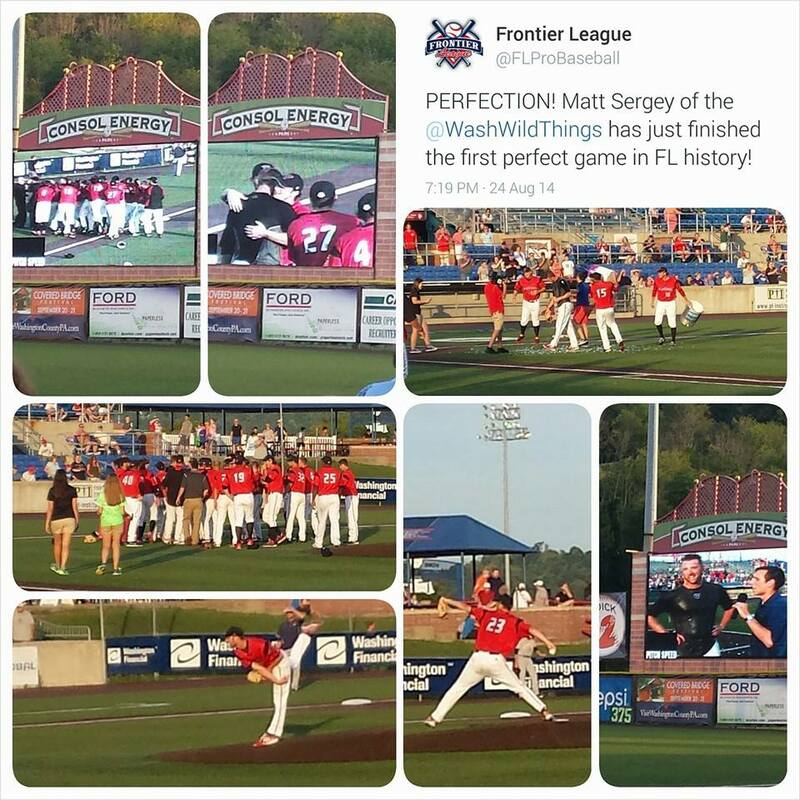 And not only was it the first perfect game in Wild Things history, but the first in Frontier League history! 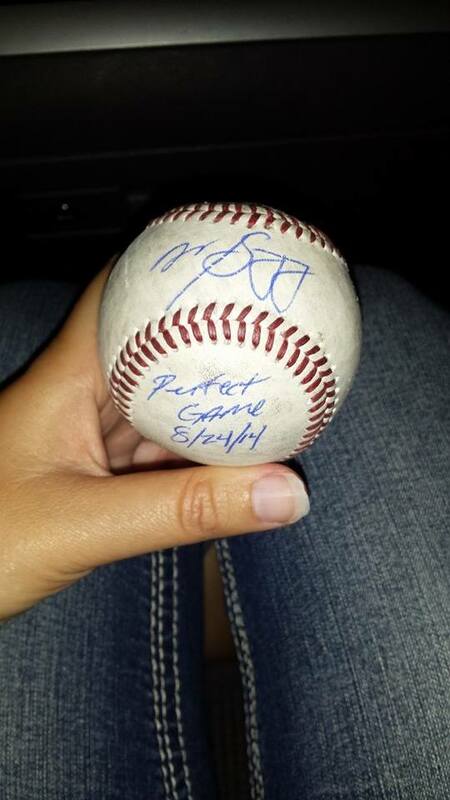 22 years and no one had thrown a perfect game before. 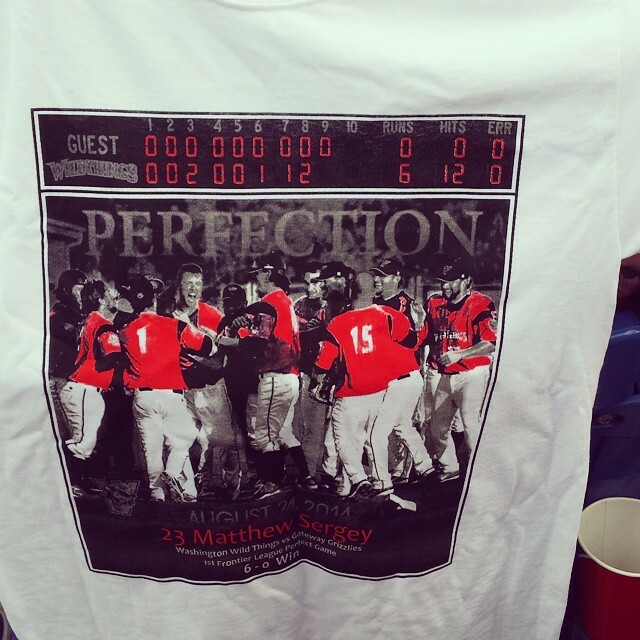 “Other Matt” only needed 100 pitches and 2 hours and 51 minutes to become “Perfect Matt” that day. Talking to Matt after the game and getting that soaking wet Gatorade hug was hands down THE baseball moment that I will never forget. Being a part of something so special was amazing, and no matter what I type, words cannot do it justice. So… what is YOUR favorite baseball moment? Great read I can’t imagine what a game like that would be like to attend. I remember when I was younger I caught a home run ball and my parents made a big deal out of it and sent a letter and all to Atlanta and furcal signed it and sent it back. That was definitely a night none of us will ever forget. Sec 101, and quite possibly everyone else at the House of Thrills, was just as emotionally invested in that game as the Squad. That’s what made it that much more special…being there to witness it together and knowing that no one can ever take that moment away.